This classic indoor pendant adds distinctive style to any room. 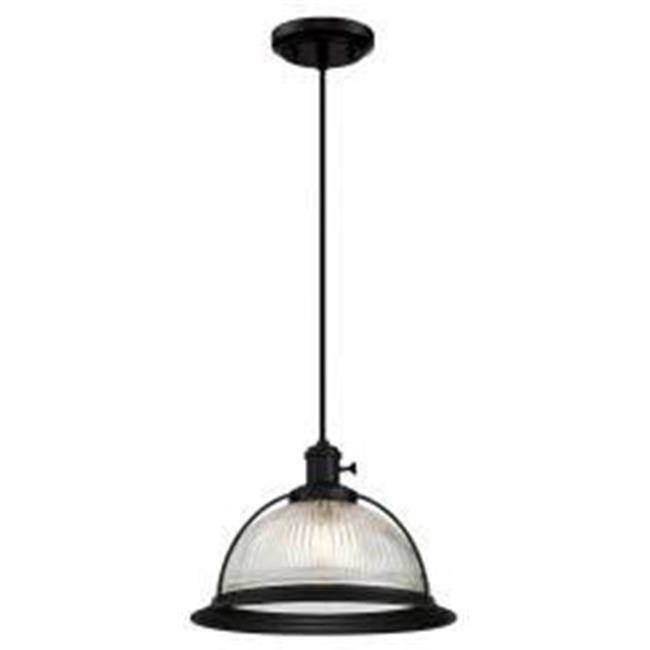 Inspired by vintage lighting, it features a versatile matte black finish, braided cord and clear ribbed glass. Add classic retro style in foyers, bathrooms, living rooms and kitchens. Hang two or three above your kitchen island for generous lighting and a unique industrial look. For added vintage appeal we recommend Westinghouse Timeless or long-lasting, energy-saving filament LED bulbs.